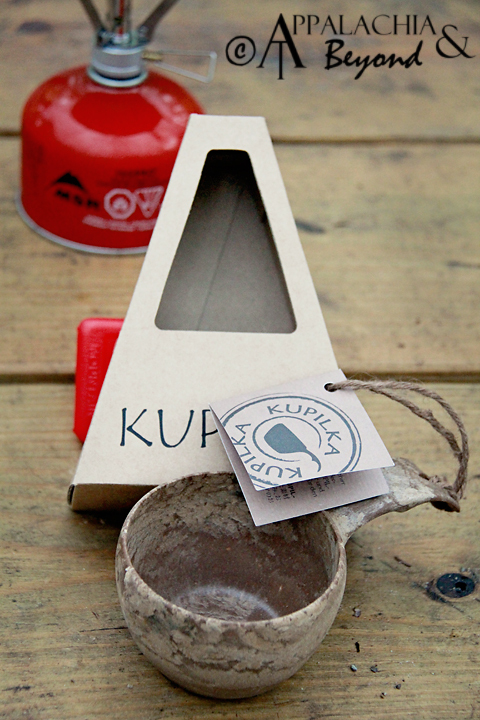 I first used the Kupilka cup on our camping trip a few weeks back to enjoy some Growers Cup coffee. It was a bit awkward at first, especially holding it by the handle. That took a little getting used to. However, holding the cup in the palm of my hands felt as natural as holding a bowl. The cup by itself was rather light too. 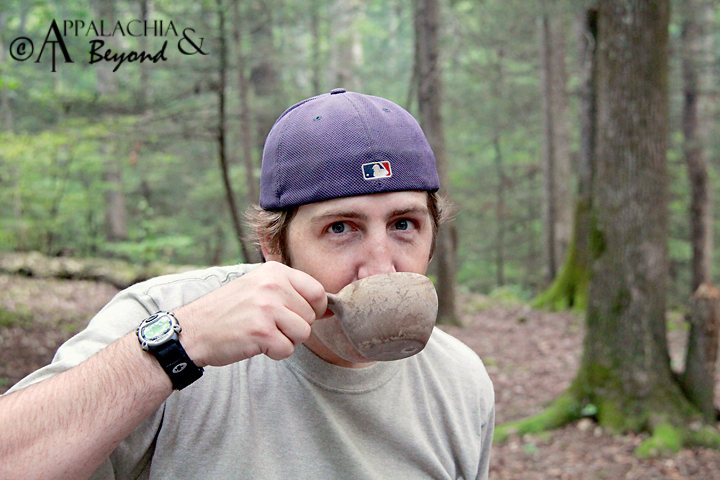 Since our camping trip, I've continued to use the cup to drink coffee out of but mainly just on the weekends. During the week I need large cups of coffee in the morning to get me going. Holding capacity: Approximately 7.1 fl.oz of liquid. The package and cup are also recyclable. 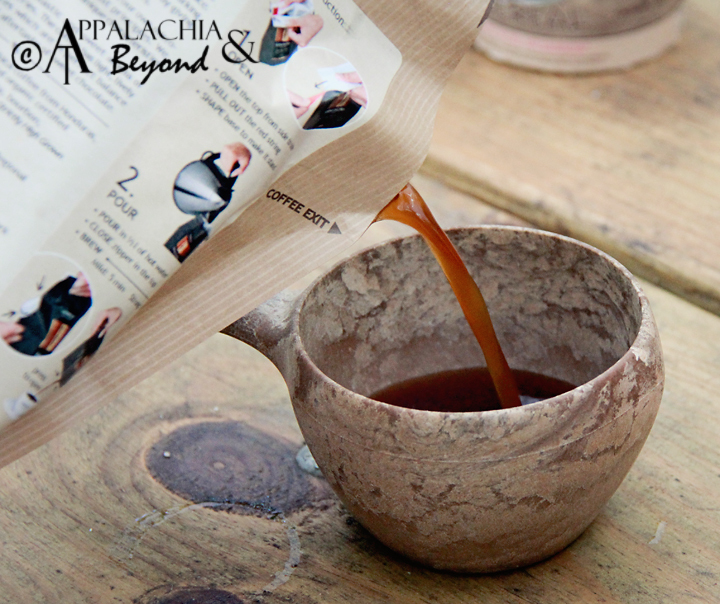 It is also dishwasher safe and can be purchased separately or in a package with a Kupilka Bowl. 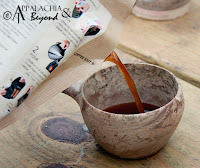 The cup is perfect to take camping so you can enjoy coffee by the fire, around the house to enjoy coffee or any other beverage of your choosing, and even backpacking. With the little string that the tag comes on, you can easily hang this of the outside of your pack, although we'd recommend packing it in your pack, you never know, you could prop your bag on a tree and have the cup touching a vine of poison ivy. That wouldn't be fun at all. Disclaimer: Tim and Robin received the Kupilka Cup from Sport Hansa for review purposes only. Appalachia & Beyond is in no way affiliated with Kupilka or Sport Hansa and are not being compensated by Sport Hansa or Kupilka for this review. The opinions expressed above are Tim's and Robin's independent thoughts and experiences. P.S. So you want your very own Kupilka Cup eh? Well here's your chance, because we also have one to give away thanks to Sport Hansa. We will run the giveaway from Today through Friday, October 5, 2012, 11:59pm EST. Use the Rafflecopter widget below to enter. There are various ways to get multiple entries. We will pick ONE lucky winner sometime after Friday. You will have one week after the announcement to claim your prize or we will select a new winner.